A world-class facility dedicated to Australia’s national gemstone is taking shape at the edge of the outback in New South Wales. Opal is often referred to as the Queen of Gems. It boasts every color of the visible spectrum, from deepest and clearest blues and greens to rippling golden orange. Opal’s hues also range from delicate pink and violet to rich turquoise, shocking vermilion, carmine and fuchsia. 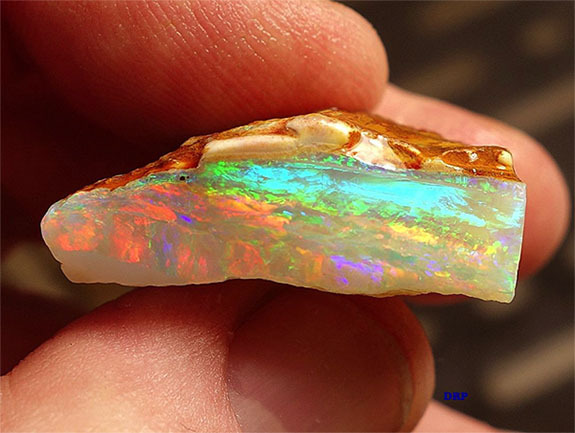 Interestingly, 95% of the opals found by miners is void of color. These specimens are white, grey or black. The locals call it “potch” and it has very little value. Potch is composed of the exact same mineral as fine opal – spheres of silica dioxide. The only difference is that in potch, the tiny spheres are jumbled, whereas in precious opal they’re all laid out evenly.